A drive along the breathtaking Big Sur coastline on Highway One will lead you to Monterey, Pebble Beach, Big Sur, Carmel, and Carmel Valley. A cool-climate area, you will find grapes such as chardonnay, pinot noir, and syrah. 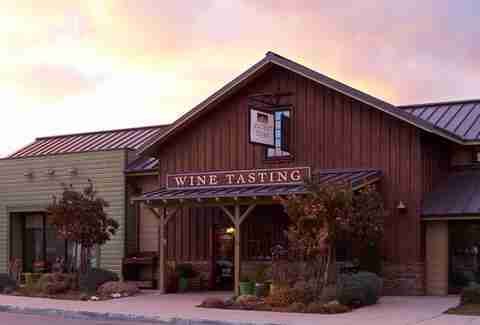 If you want to save yourself a drive, home-base in Carmel-by-the-Sea and pick up a Carmel Wine Walk By-the-Sea Wine Tasting Passport: for $65 you get a passport for a self-guided wine tour within one square mile in town, with tastings at any nine of the fourteen participating tasting rooms. After tasting wine, take a bottle down to nearby pet-friendly Carmel Beach -- ‘cause alcohol is TOTALLY ALLOWED on the sand. If you do want to get out into the vineyards, you can take a drive down the River Road Wine Trail into the Salinas Valley to the tasting rooms at working wineries, which offer phenomenal views of the Santa Lucia Highlands, and if you like a little adventure you can zip through the vineyards on an ATV Tour at Hahn Family Wines where you can get up-close and personal with the vines. If you like your wines big and juicy, Paso Robles is the place for you. 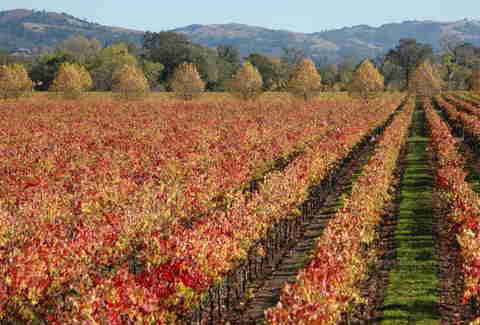 Home to more than 200 primarily boutique and family-owned wineries, Paso Robles is known for its blends of Bordeaux (cabernet sauvignon and merlot), Rhone (syrah, roussanne and viognier) and zinfandel varietals. The quiet town is centered around a large grassy area with a gazebo in the center and feels like quintessential small-town Americana -- like, it’s surprising it’s not called Hill Valley. 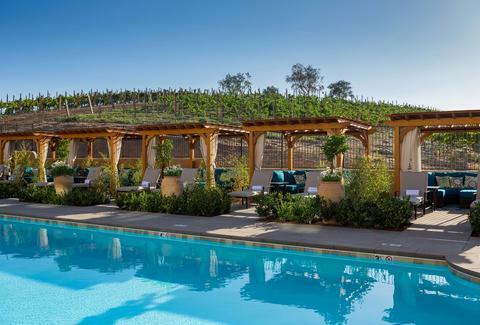 While there are many hotels and bed-and-breakfasts in the heart of town, it’s worth a drive five minutes outside of town to spend the night at the newly opened Allegretto Vineyard Resort, located on 20 acres of vineyards and olive and fruit orchards. Want to both drink wine and go to the beach? Yep, you do, and Pismo Beach -- a classic California beach town, is the answer. Stay at the dog-friendly SeaCrest OceanFront Hotel, where, on foot, you can wander down the street to Sans Liege Wines, the only winery tasting room in Pismo Beach -- or to Taste of the Valleys, a wine bar/shop with more than 1000 wines and 150 wines by-the-glass. Located in the center of San Luis Obispo County, the cool-climate wine regions of Edna Valley and Arroyo Grande are only a short drive away. But for a little extra fun, drive 20 minutes north to Ancient Peaks Winery in Santa Margarita (actually located in the southernmost vineyard in Paso Robles) where you can zip line 125ft over the vineyards. While San Francisco can call Napa and Sonoma theirs, Santa Barbara definitively is LA’s prize wine region. 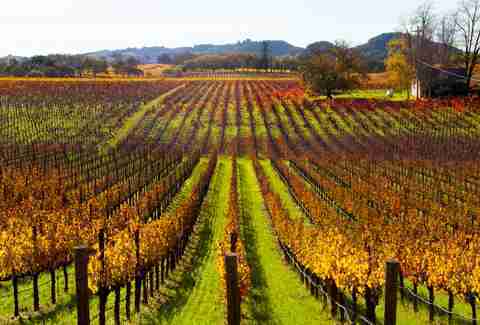 The wine country of Santa Barbara (which includes the wine regions of Santa Maria, Santa Ynez, Sta. Rita Hills, Ballard Canyon, Happy Canyon, and Los Olivos District), is unique because it is home to the only transverse mountain range in North America. This means that the mountains travel east-west, instead of north-south, and the sea air floats in from the coast, across the region, getting one degree warmer each mile further east -- which leads to unique flavors in the grapes. While the town of Los Olivos is most well-known, we recommend heading to the kitschy Danish-inspired town of Solvang. If you do not want an abelskiver for breakfast, hit Ellen’s Danish Pancake House in Buellton for a hearty meal as you continue 20 minutes west to the Lompoc Wine Ghetto, home to 18 tasting rooms. 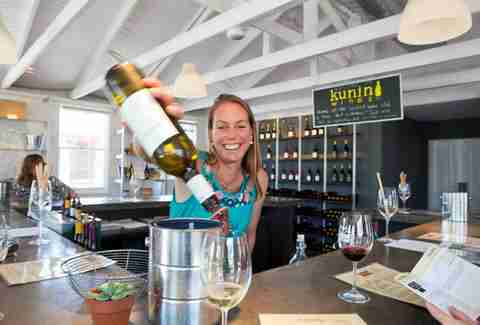 The setting is not ultra romantic but the selection of wines is top-notch; as you head back to Solvang at the end of the day, stop in Buellton at Ascendant Spirits, the first legal distillery in Santa Barbara County since Prohibition. Enjoy a tipple of bourbon or vodka and then head around the corner for a bit to eat at Industrial Eats. 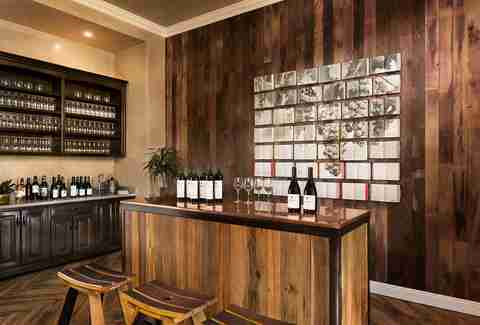 If you don't want to drive the two or two-and-a-half hours to Santa Barbara wine country, there’s now a great wine scene in Downtown Santa Barbara, only an hour-and-a-half from Los Angeles. Amidst the shopping and restaurants along State Street, many wineries have set up their tasting rooms, and the Urban Wine Trail -- a walking trip in the warehouse districts with tons of tasting rooms -- is located within blocks of Downtown and the beach.